Just follow the link to order online and pick it up in 10-20 minutes! Flatiron Coffee was established in 2009 in Boulder, Colorado. Since then, we’ve focused on crafting gourmet specialty coffee with an emphasis on quality. Almost all of our products are local and we always strive to create interesting specialties that can’t be found anywhere else. (Like our Ice Cap! 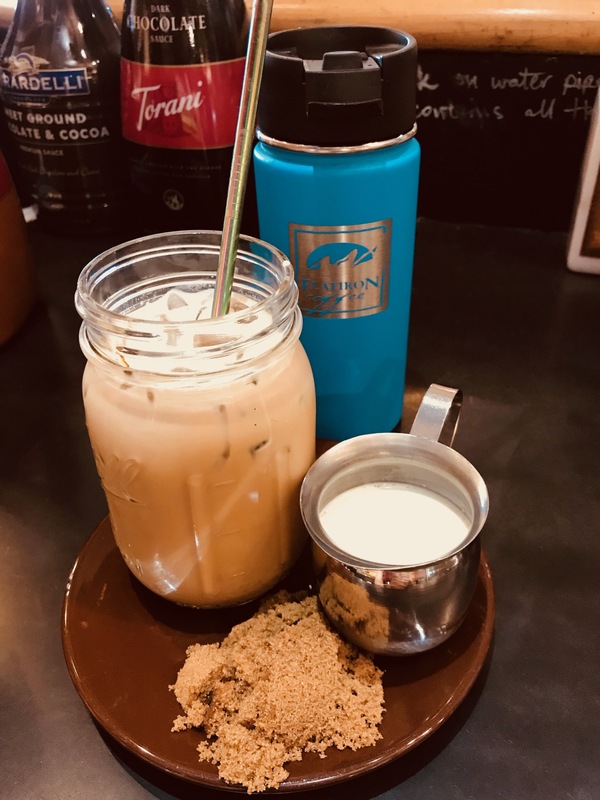 It’s our signature drink, featuring our delicious cold brewed espresso sweetened with vanilla, locally sourced whole milk and then the whole she-bang is churned in an ice-cream machine for one of the best drinks around town.) Not only that, but our baristas are specifically bar-trained on our La Marzzocco to pull shots, steam milk, and concoct delicious espresso beverages—we do everything by hand here! No machines to tamp for us or steam our milk or pull our shots. We think the best coffee drinks come from people, not machines. We have an extensive collection of food and pastries catering to dietary restrictions and offer many gluten-free and vegan options. 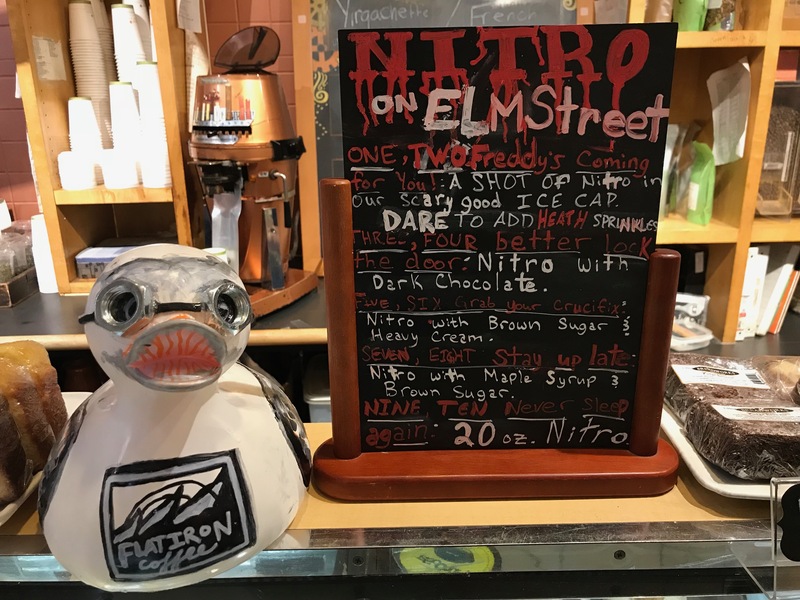 We support many other local businesses and organizations: Flatiron Coffee has donated to the Colorado Shakespeare Festival, the Boulder Chamber Orchestra, the Boulder Valley School District, Colorado Public Radio, Rocky Mountain Cancer Assistance, the Boulder Homeless Shelter and many more. We believe that a strong community creates a place where everyone is welcome and everyone can lay the groundwork for a better future. 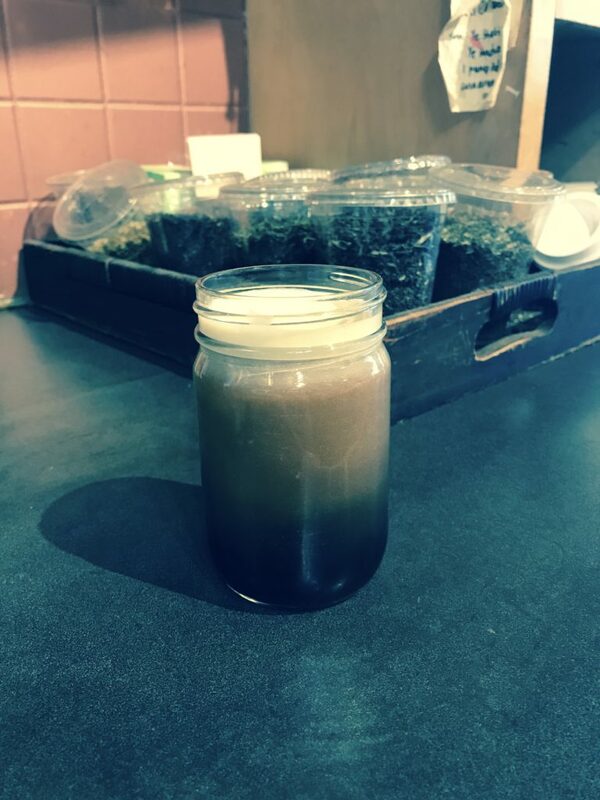 Flatiron Coffee also strives to be as environmentally friendly as possible with a goal to become as close to zero-waste as we can. We have recently switched to all-compostable cups, lids, straws, and give discounts to those who bring in their own mugs. 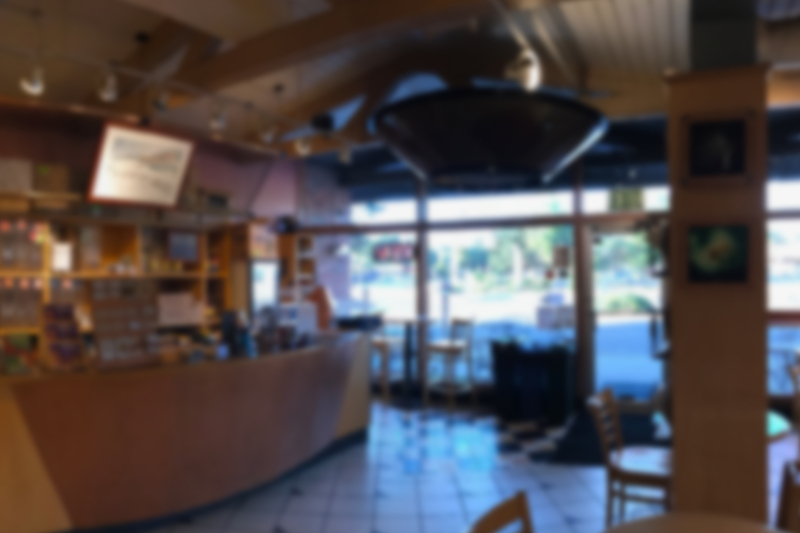 The owner, Melissa, is a Colorado local and graduated from the University of Colorado at Boulder. She has been hand-crafting specialty espresso drinks for over a decade and is always looking for new and innovative ways to prepare coffee without ever becoming too pretentious. 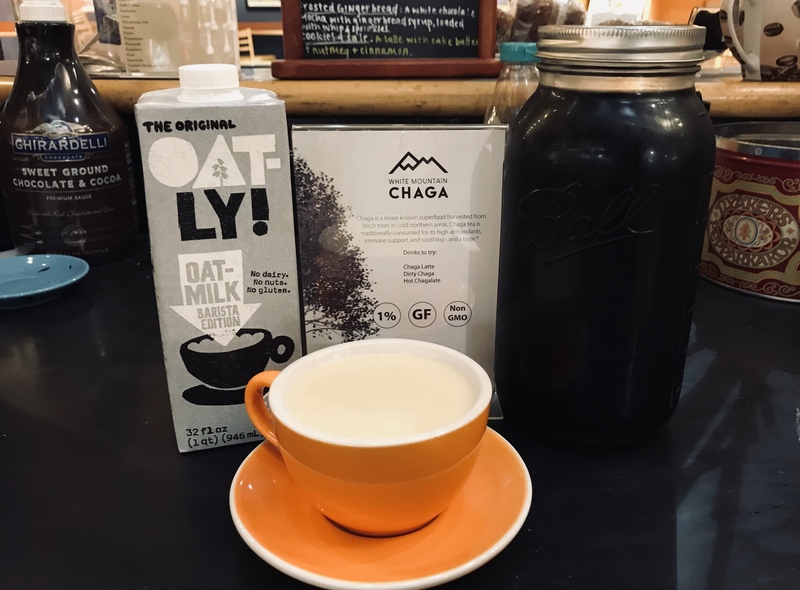 Chaga is a superfood filled with antioxidants that can finally be prepared into a chai-like warm beverage. It comes from mushrooms that grow on birch trees in the arctic and not only promotes gut-health, but helps with immune support and stress. It’s lightly sweetened with honey, cinnamon, cloves and ginger. This incarnation is mixed with milk and steamed to perfection. 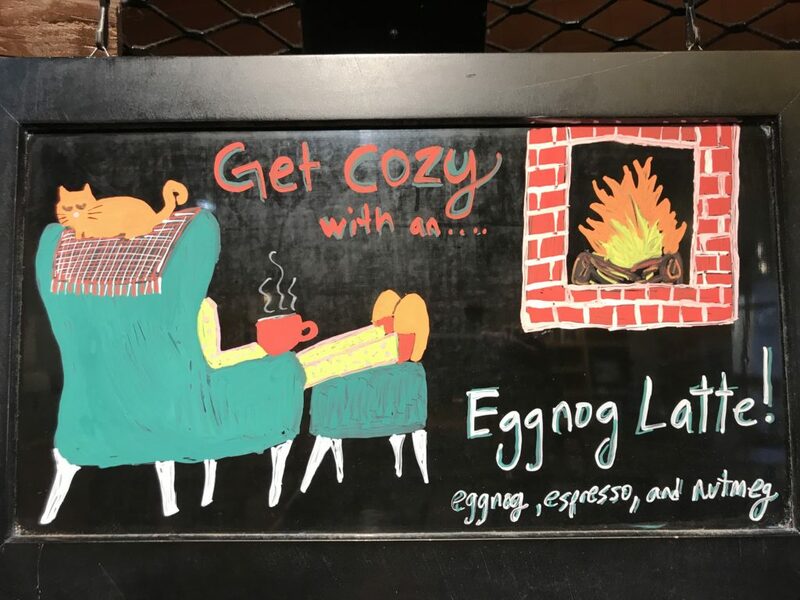 Cozy up for the holidays with our eggnog latte. 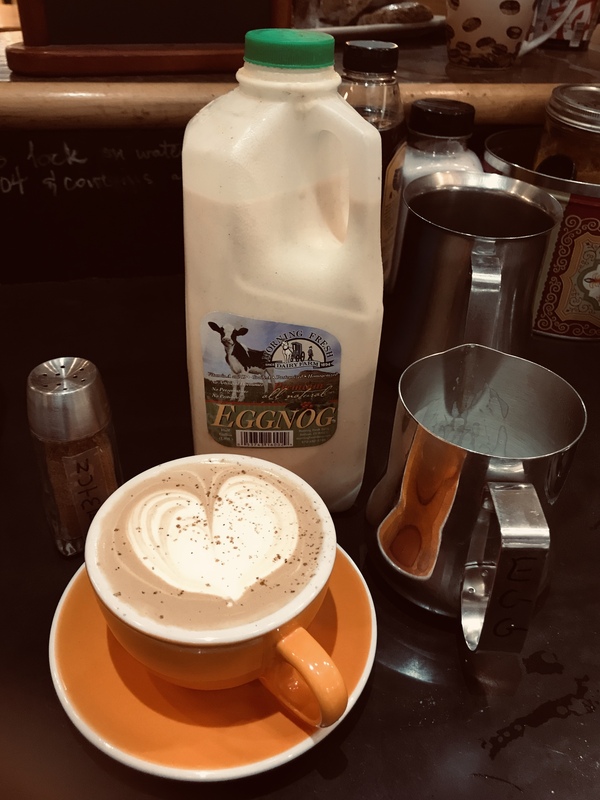 Fresh eggnog straight from a local dairy, espresso, and just a hint of nutmeg on top to bring this creation to perfection. We can make it vegan by using an eggnog syrup from DaVinci. 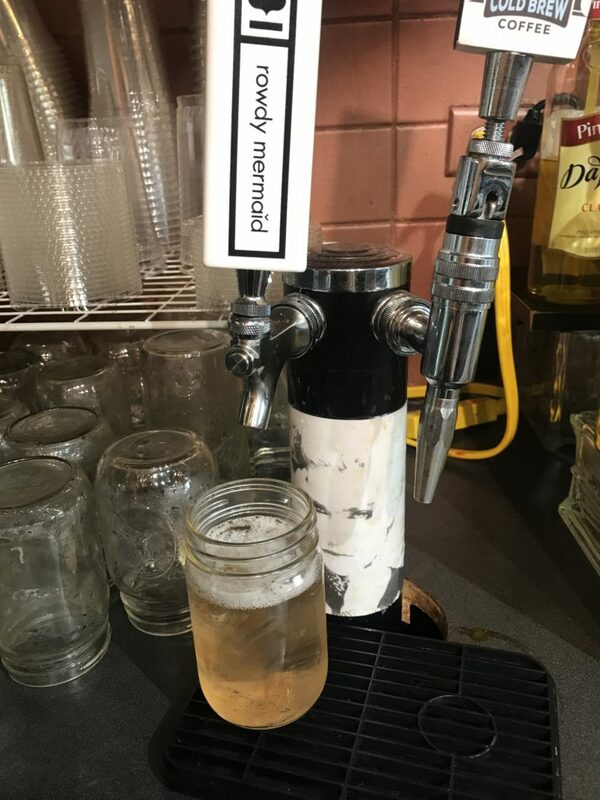 From Rowdy Mermaid; we’re carrying kombucha on tap from a local brewer and will always have seasonal flavors! Right now is the Smoky Badger, a delicious mix of chipotle, hibiscus, and cinnamon. 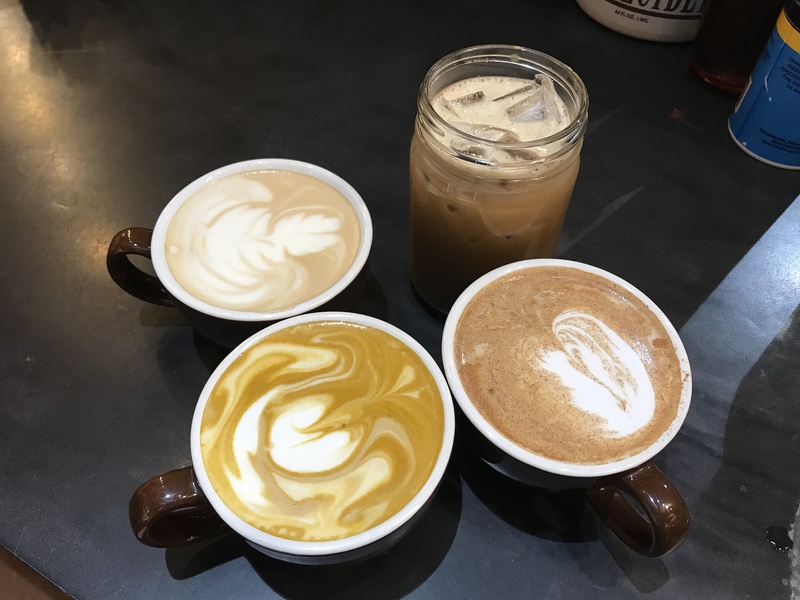 A delicious oat milk latte (we just can’t get enough!) with organic brown sugar and maple syrup. When our baristas were testing it out, all they could say when they took a sip was, “ooh.” Now that you know where we got the name, you should head on over and get this breakfast-in-a-cup. 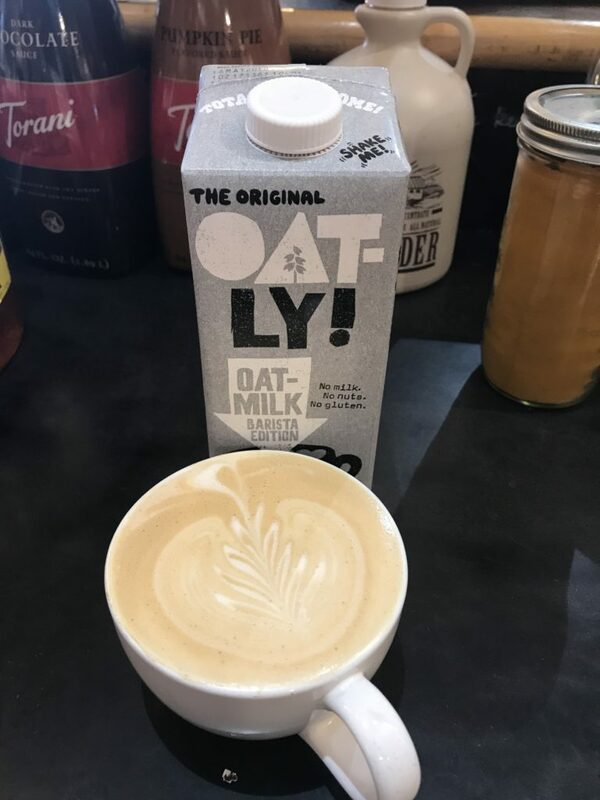 We just got oat milk into the store and boy, is it delicious! We’re currently featuring the HALL AND OATES, delicious vanilla latte with the Swedish sensation, oat milk. We’re making your dreams come true. 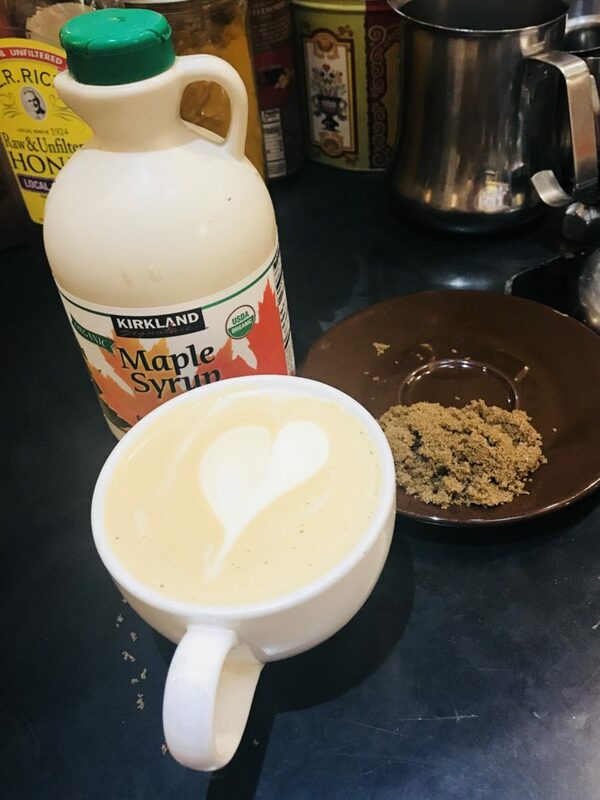 cake-batter latte; try it with oat milk! Our house-made nitro cold-brew coffee sweetened with organic, old-fashioned brown sugar, topped off with heavy cream and poured over ice.